There are plenty of high quality ski hire and equipment rental shops in Zermatt. All offer the latest equipment and a range of rental packages. Azzurra Sport Riedstrasse 10, 3920 Zermatt , Tel: +41 27 967 13 22. www.azzurrasport.ch. Bayard Sport & Fashion, Patricia Aufdenblatten-Bayard Bahnhofstrasse 35 3920 Zermatt Tel: +41 27 966 49 60. Two outlets. www.bayardzermatt.ch. Dorsaz Sport, Geschwister Dorsaz, Schluhmattstrasse 121, Talstation Matterhorn Glacier Paradise, 3920 Zermatt. Tel: 027 966 38 10. www.dorsaz-sport.ch. Flexrent Sport Equipment, Bernhard Perren, Matterstrasse 25, Talstation Rothorn, 3920 Zermatt. Tel: 027 933 49 19. www.flexrent.ch. Glacier Sport, Viktor Guntern, Bahnhofstrasse 19, 3920 Zermatt. Tel: 027 968 13 00. www.glacier-intersport.ch. Julem Sport, Martin Julen, Hofmattstrasse 4, 3920 Zermatt. Tel: 027 967 43 40. Matterhorn Sport, Hans- Josef Julen, Bahnhofstrasse 78, 3920 Zermatt. Tel: 027 967 29 56. 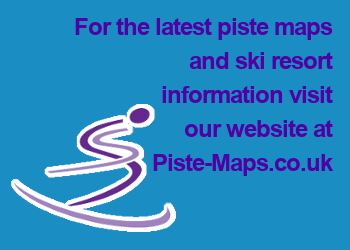 Three outlets in Zermatt, they operate in conjunction with skiset.co.uk. www.materhornsport.ch. www.matterhornsport.ch. Slalom Sport, Gebrüder Julen, Schluhmattstr 3, 3920 Zermatt, Tel 027 966 23 65. www.slalom-sport.ch. Triftbach Sport, Josef und Hans Julen, Oberdorfstrasse 16, 3920 Zermatt. Tel 027 967 47 48.